So, checking the news channels, I’ve got this for now…. Ministry of Forests and Range say fire is 18 hectares in size and is contained below the highway. 14 firefighters, 5 helicopters and one piece of heavy equipment are on scene. 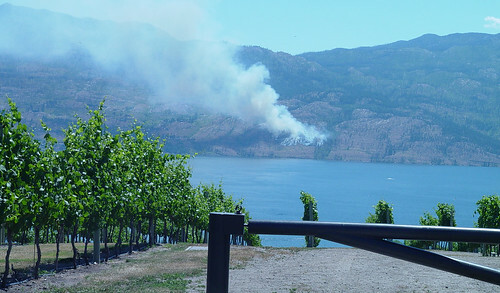 Calm winds are slowing fire behaviour. The plumes of smoke have certainly dissipated, (I think that’s the right word!) and is nothing more than small’ish white cloud of smoke. So, for now, we’re kind of out of the woods, as they say…..